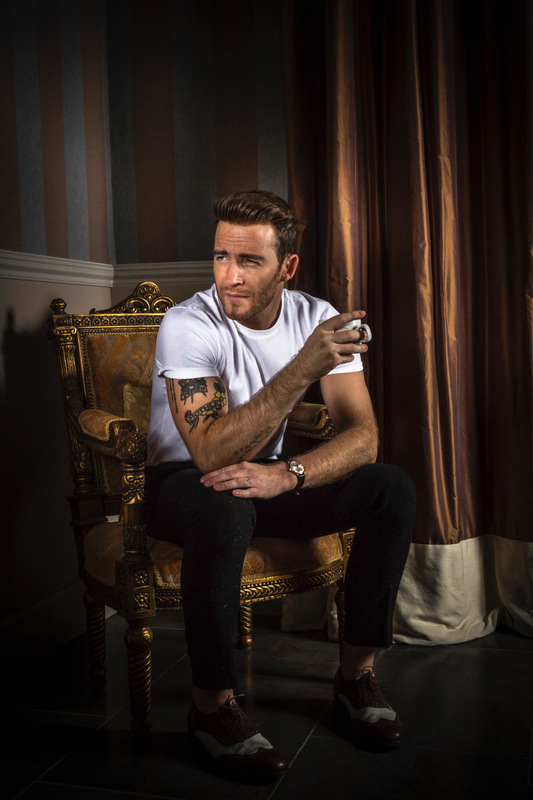 Jay James chats to Carl Marsh about his new appointment as the new host of a brand-new music, entertainment and celebrity-packed show on Nation Broadcasting’s five regional networks across Wales, which are on Sunday’s between 4 pm and 7 pm. You’ve been quite busy these last few years haven’t you, and now you’re the new prime time Sunday afternoon host on Nation Radio’s networks across Wales? Well, obviously I am still involved with the music side of things by working on my new record, but radio has become a bit of bread and butter to me for these last 2-3 years. I’ve been honoured really for the opportunity to get involved in this industry such as BFBS Radio, which is Forces radio and you Carl will know of it because of your time in the Army. I do The Big Show on there, and it goes out three times a week and is worldwide. The Nation Radio gig is my first solo show, and I know I am taking over a kind of a mantle that was the Chart Show slot there, so it’s exciting. I’m really chuffed as I know it goes out over the five different networks in Wales, but the one that is Radio Pembrokeshire is the one that I have listened to my whole life. I guess that’s where you are from, isn’t it? Yeah, Saundersfoot in Pembrokeshire, well, I was actually born in Carmarthen, but I grew up in Saundersfoot. After the first show that I did, I have been overwhelmed by all the love from all my family, friends and even the local football team that have been tuning in. It’s quality! You must be more than happy with how the first show turned out in the end? The truth is that as I’ve been doing the radio stuff for about two and a half years with BFBS, so I was just really excited to get things off and running. There will always be bits and bobs that I want to improve on each week, but I wish to build up a situation where people will be at home, getting food on the hob, turn the radio on and listen to myself. That was what it felt like yesterday, people were sending in photo selfies of themselves eating their Sunday dinner! With the show though, three hours is a long, long, long time to kill, you and your producer must sit down and have some sort of plan? Return the favour I guess? Yes, and to shine the light on a few artists, get them in the live room and to perform one of their singles and the first Welsh band we are going to have on is Who’s Molly? The truth is now that you’ve got to be making some serious waves, be in the Top Ten or at least the Top 40 of the music charts before anyone plays you on the radio. It’s bizarre. How do you expect people to get in those positions if you are not hearing them on the radio? It’s alarming as you will know having been in the industry yourself Jay, with before The X-Factor and then after it, unless you have got tons of money behind you, funded by the record labels, then it is difficult? It is mate, but all I know is that Neil and all of the team at Nation Broadcasting are keen to support local talent and to share my views with trying to get a lot of love to these guys and to give them a platform. I did all this for a good six or seven years before The X-Factor. I had played ‘every toilet in the land’. I did some fantastic things like recording an album in New York and Los Angeles; working with the likes of John Legend and people like that. The truth is that despite doing all of those things, I didn’t find the success that I really wanted, and that was the mainstream success where I could push my music out to the millions. So when The X-Factor came around, I just thought to myself, “Why not”. I saw the likes of James Arthur just expressing himself and doing his own thing, I saw Adele and Beyonce using it as a platform. I didn’t want to sit at home and become one of those bitter musicians that never made it, or am I going to go for this, and give it a go. Little did I know that the whole of Wales was going to get behind me.